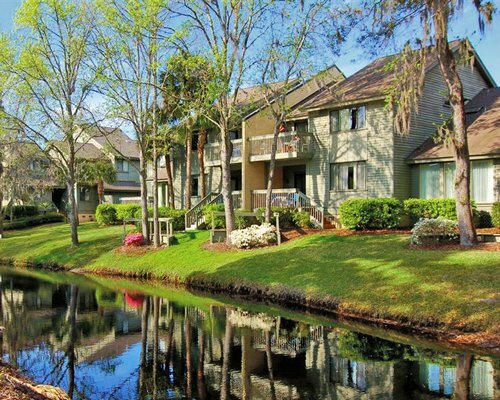 Located along the sixth and seventh fairways of the Galleon Golf Course along picturesque Low Country lagoons, and just a short stroll or bike ride from the Shipyard Beach Club, these luxurious two-bedroom/2.5 bath, two-story townhomes provide award-winning comfort and service. It’s convenient location in Shipyard Plantation gives you easy access to the Shipyard Beach Club, Shipyard Golf Club, Van Der Meer Tennis Center, bike trails and the nearby shops, dining and activities of the Island’s south end. Activities available just for children include a pool party with live entertainment, along with supervised offerings during the season.